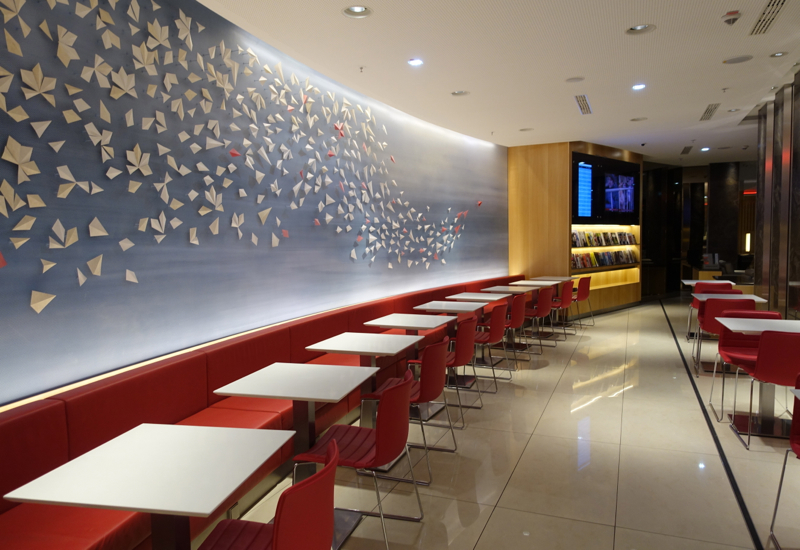 The Air Canada Maple Leaf Lounge in Frankfurt Airport is located in Terminal 1, Concourse B, on Level 3. I didn't expect to have access, since even though I had arrived on a Thai Airways flight in First Class, my flight home from Frankfurt was in Singapore Economy. Nevertheless, I was granted access. 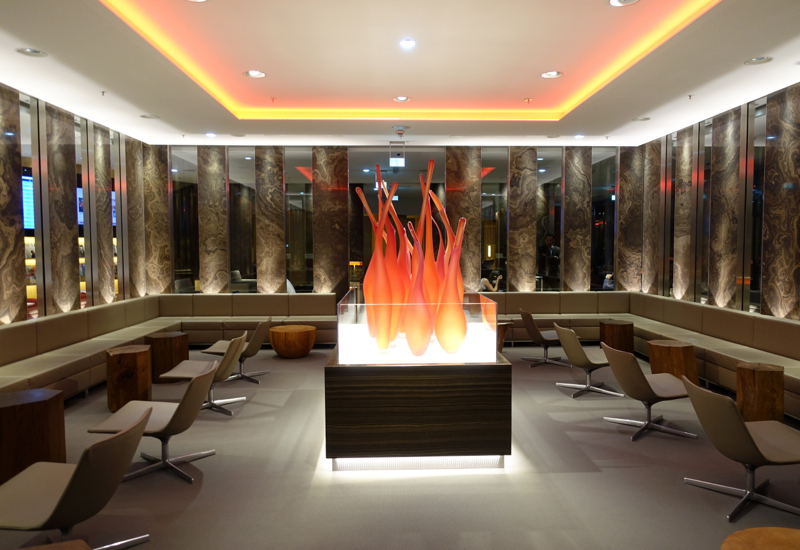 The Air Canada Maple Leaf Lounge is one of the the more beautiful business class airport lounges I've seen, with extensive use of wood and a fiery glass sculpture in the “Canada Room”–reminiscent of sitting around a modern campfire, since seating was around the perimeter, with wooden “stumps” serving as tables. My first stop was a shower room. 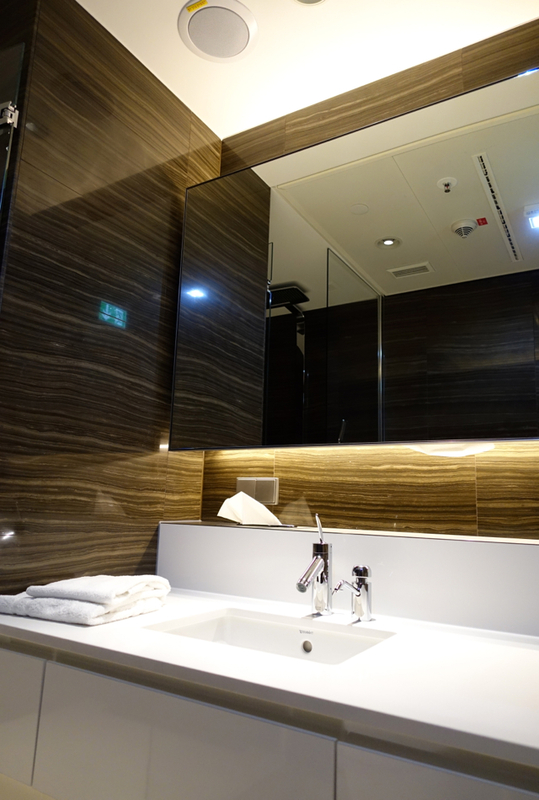 Since we arrived at the lounge just minutes before it opened and the lounge was uncrowded throughout my brief stay, there was no wait for a shower room. 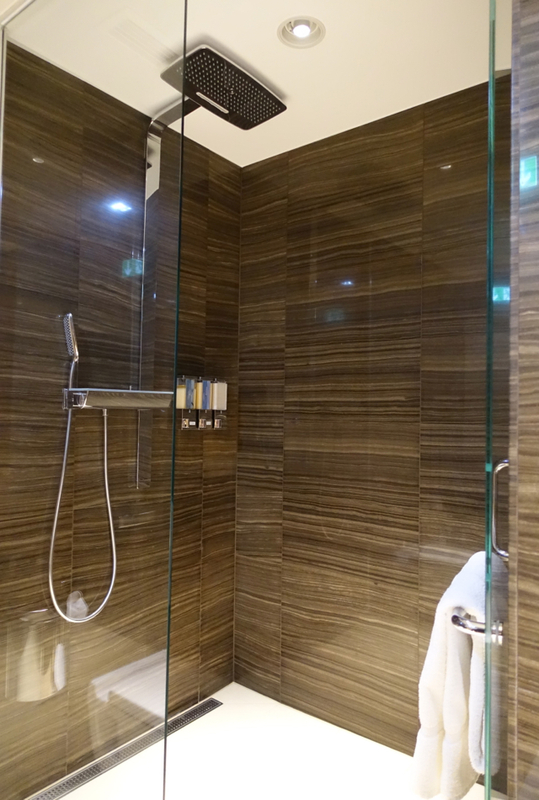 The shower rooms were simple and spare in design, but very clean. 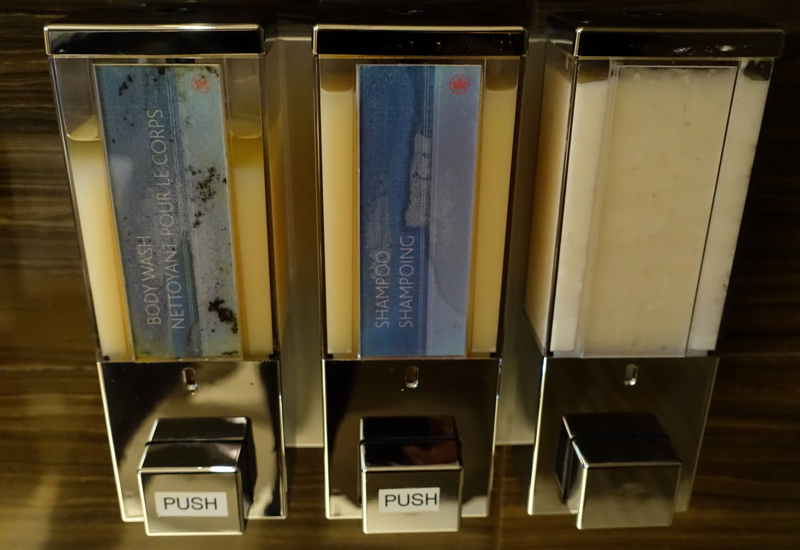 Shampoo, conditioner and body wash were in generic dispensers, so I used some of the L'Occitane bath products that came courtesy of the Thai First Class Lounge shower rooms. While I didn't have occasion to use it, the lounge also features a Quiet Zone with six reclining pods and noise cancelling headsets. No nap room, however. 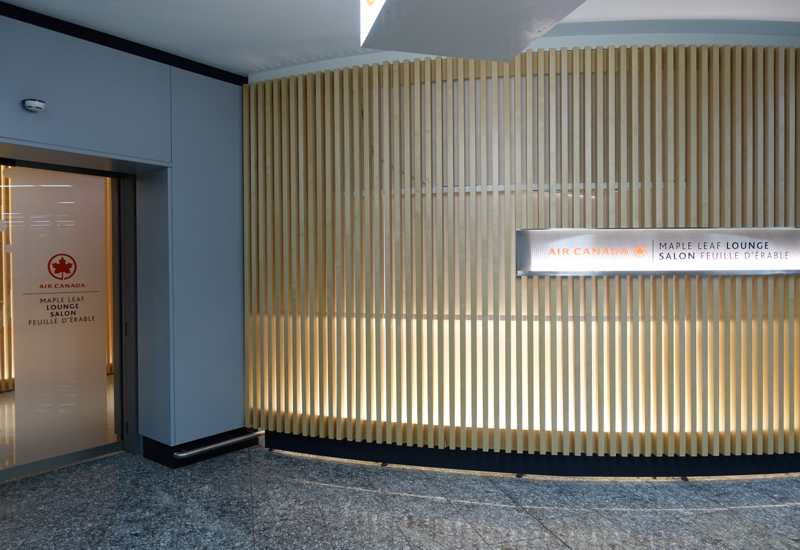 There's also a standard looking business center with computer work stations, in addition to free WiFi throughout the lounge. 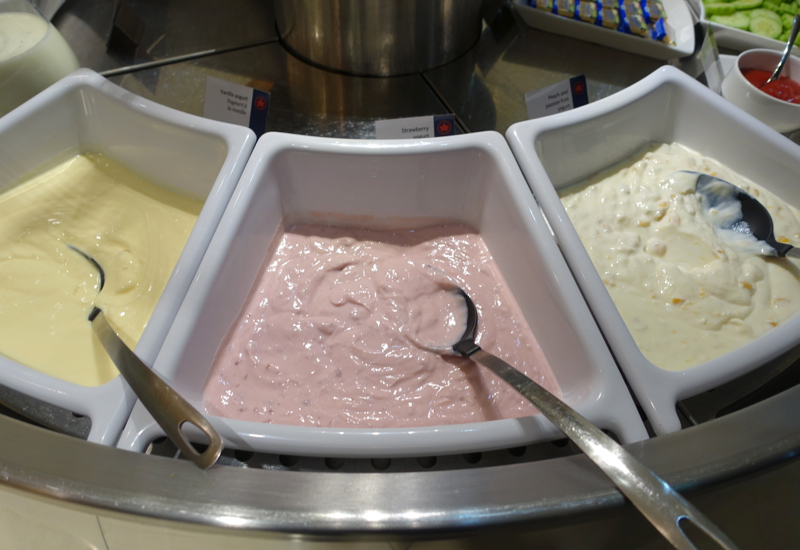 My other breakfast staple, yoghurt, was also well represented, with a peach-passionfruit variety in addition to strawberry and vanilla flavors. 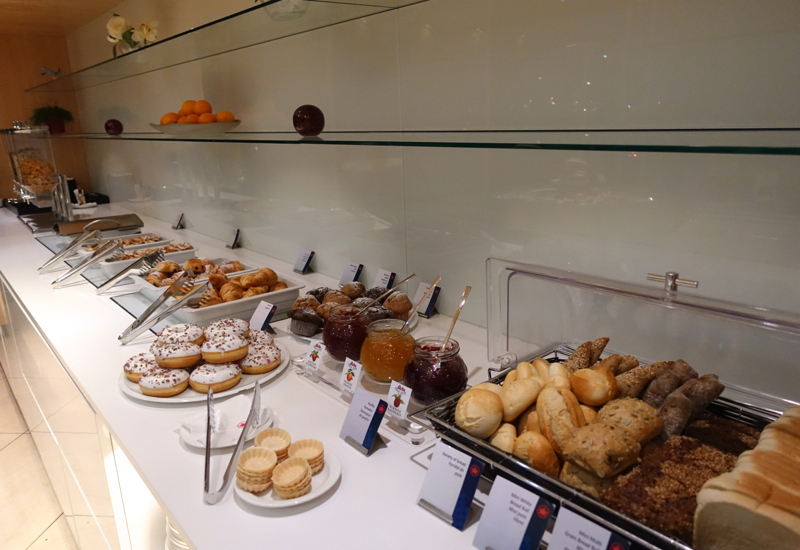 As you'd expect in Germany, there was an extensive bread and pastry section. 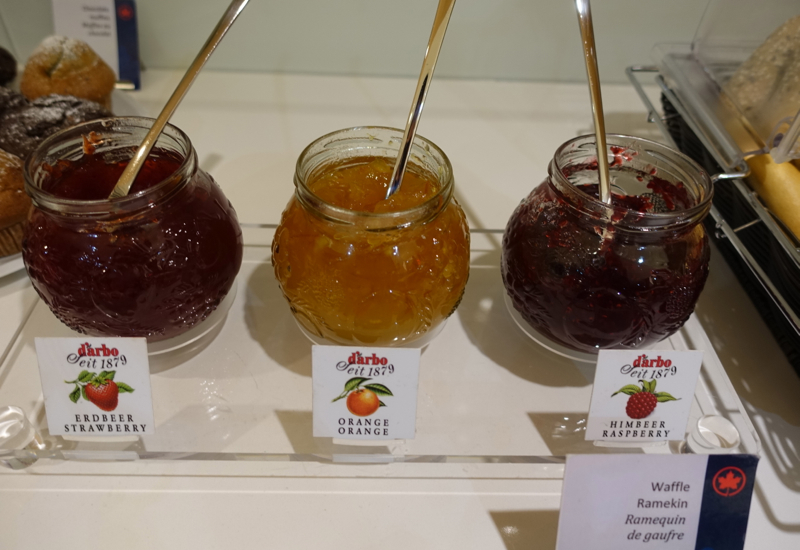 I was especially thrilled to see d'arbo jam, which I prefer over Bonne Maman and cheaper brands. 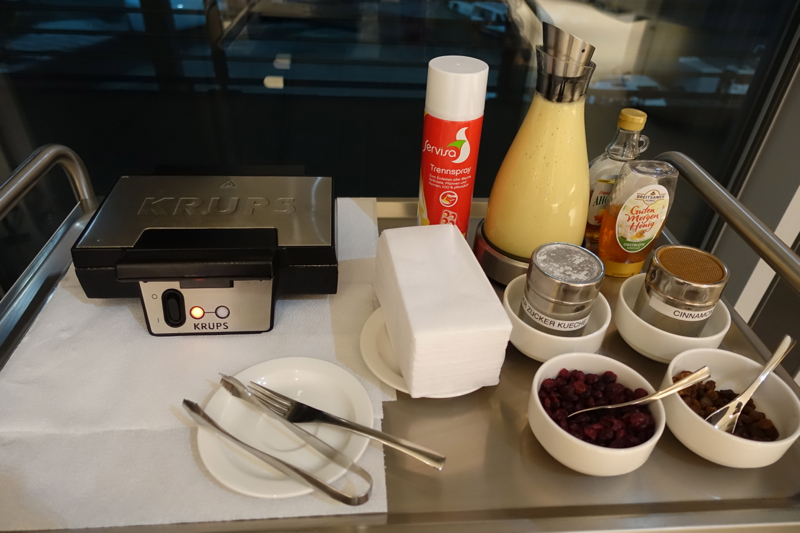 What really intrigued me was the Belgian Waffle Maker: a DIY waffle station. Well, somehow I managed to mess it up. I sprayed it with nonstick spray and added the batter, so far, so good. 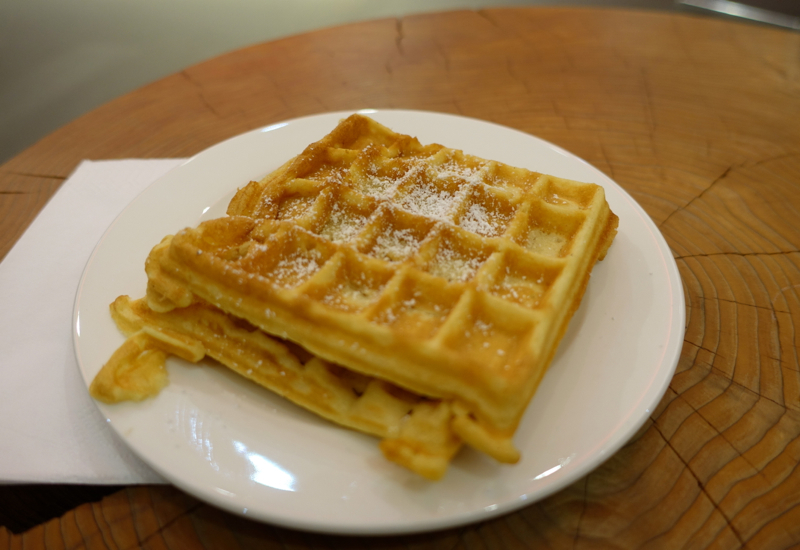 But when the machine beeped and I tried to get it out, I nearly burned my hand due to the hot handle, and the waffle maker was impossible to open–seemingly glued shut by the batter. 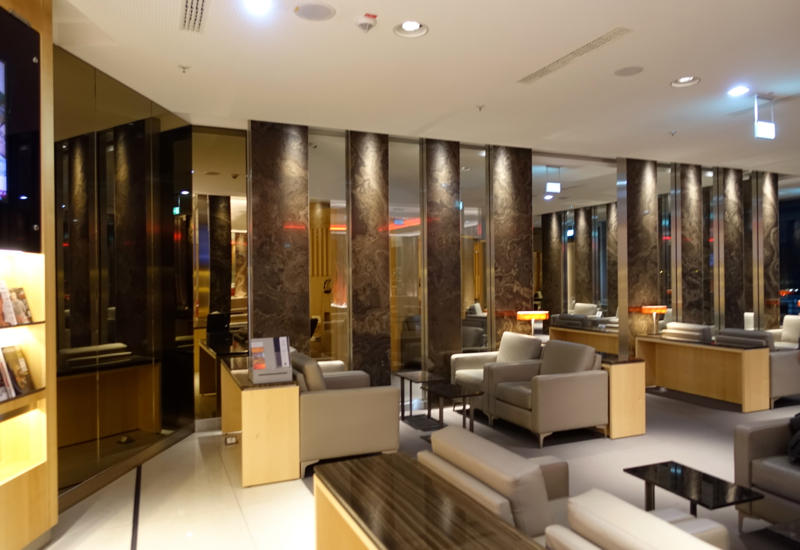 I'm sure it varies depending on time of day and flight schedules, but the uncrowded state of the Air Canada Maple Leaf Lounge was such a refreshing difference from the jam packed state of the Lufthansa Senator Lounge Frankfurt which I visited between Singapore Suites flights last year. In fact, I wouldn't have been aware of the lounge had it not been for the staff who escorted other Thai First Class passengers and me to it. The shower facilities were fine, but nothing special. 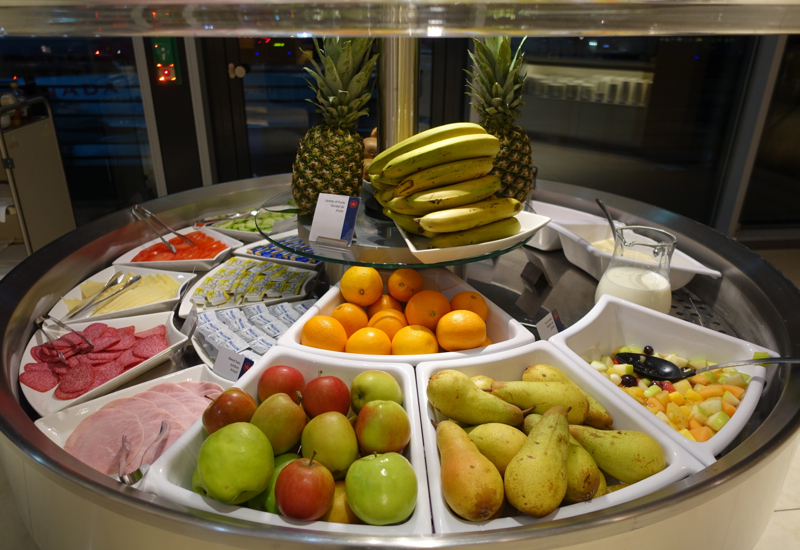 What I valued with this lounge, in addition to it being uncrowded at the time of my visit, were the kind staff (given my waffle challenges above); good quality fresh fruit, yogurt and jams; and inviting and artistic spaces, compared to most business class lounges. 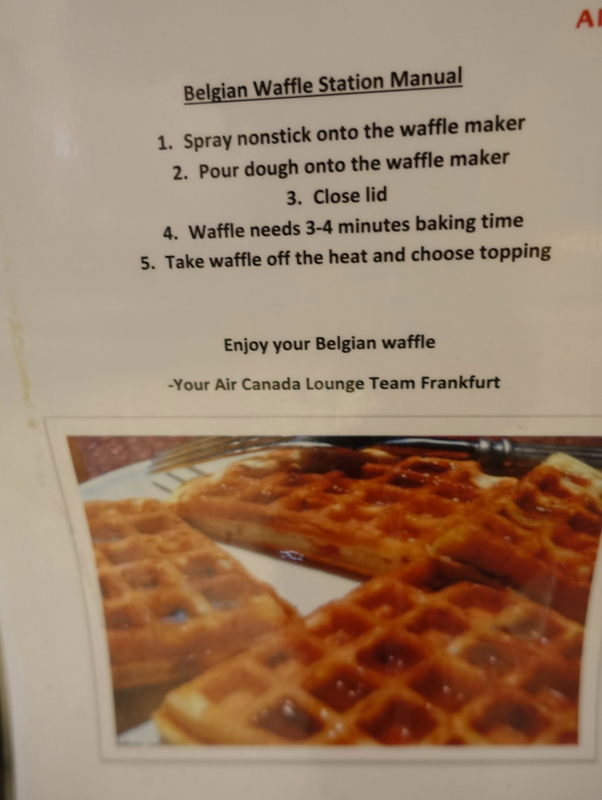 If you've been to the Air Canada Maple Leaf Lounge in Frankfurt Airport, what was your experience?